My bowls, click to enlarge. 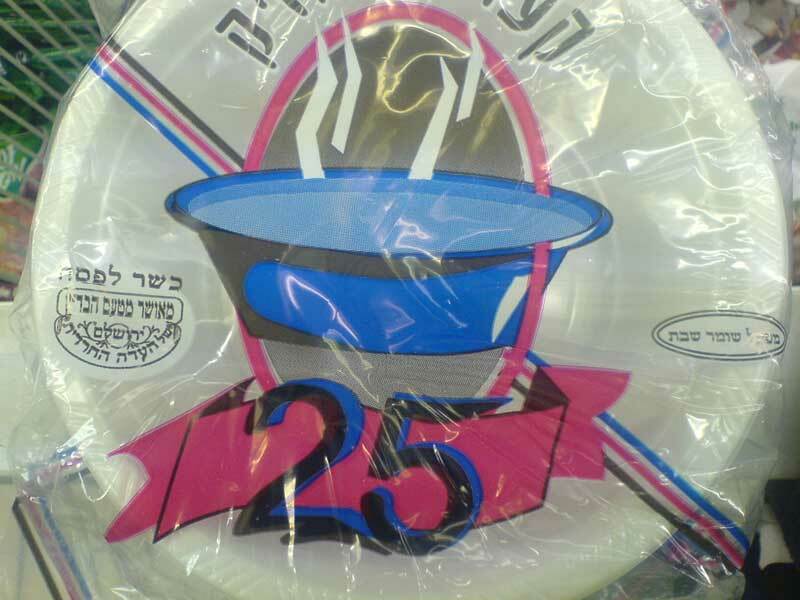 Of course, I have a backup set of bowls that are good for every occasion that involves some sort of modern Jew but excludes Satmar Chassidim. 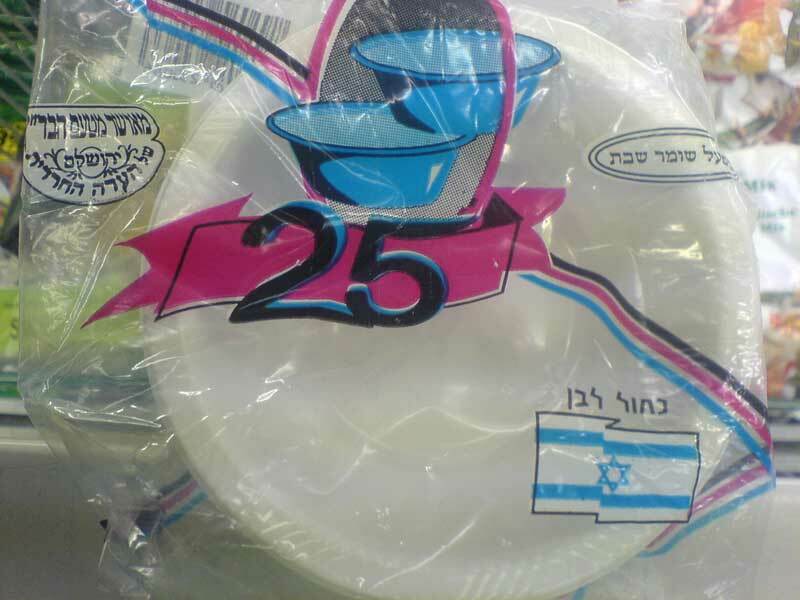 Similar to the lesser ones, these have the added feature of being made in Israel and featuring an Israeli flag even, along with the words kachol lavan which means white *something*. By now you must be asking “but heiligeh punk. What hechsher is good enough to be allowed into these bowls? And what makes it so special?” Good questions. The only hechsher that I allow to feed me besides myself is also the only one that certifies it’s food “Kosher Perve”. Perve. It conjures up images of food that are not just kosher, but obscenely kosher. Anti-Socially Kosher some might say. Creepily Kosher almost. “Strange man in trenchcoat with one hand hidden”-style kosher. And that’s kosher enough for me. Remember- look for the sticker on your food that tells you it’s pervertedly kosher. 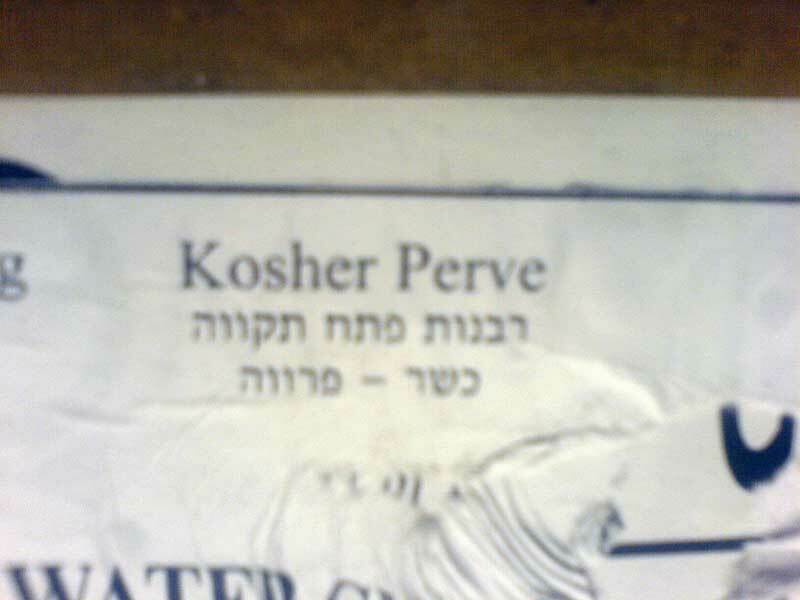 Kosher Perve. Accept no substitutes. So kosher, it's almost perverted. This entry was posted on August 1, 2008 at 12:23 am and is filed under Kashrus, Me. You can follow any responses to this entry through the RSS 2.0 feed. You can leave a response, or trackback from your own site. Kosher perve rocked my world. I’ve never heard of Moment, but feel free to submit it on my behalf. Let me know if it gets printed. Think I could get some free advertising in Moment? Glad you enjoyed it. These pics are all products sold in my frum grocery. It’s a goldmine for a bored blogger with a cameraphone. lol. Thank you for sharing the perve with us. Kosher Perve lettuce, stripped clean. hahahah i was cracking up!